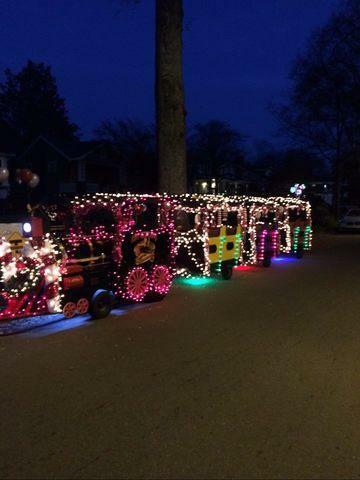 Every year for the holidays, we decorate the ABT express and change over to the "Candy Cane Express". The train is decked out front to back, top to bottom with decorations and lights. 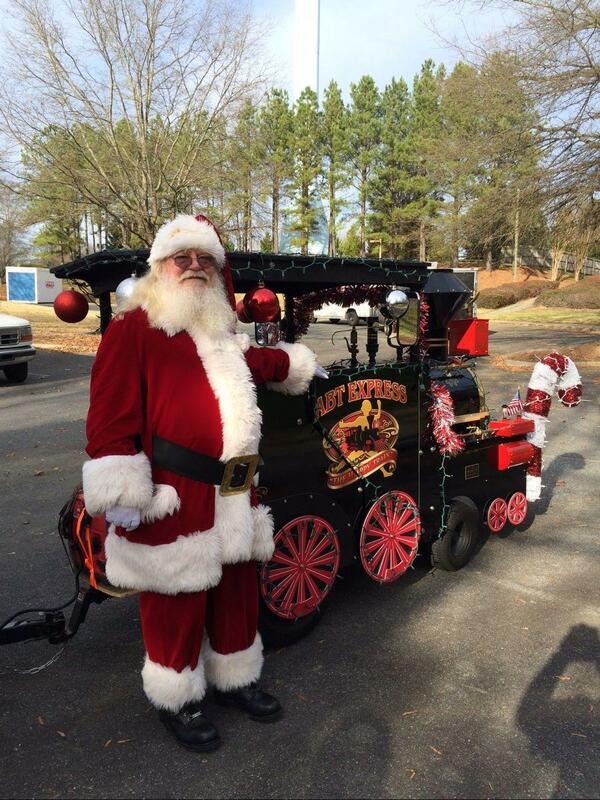 needing Santa to ride along? Let us know, we can see if hes available with his busy schedule . Our gas locomotive mimics the historic steam engines that travelled across the United States back in the day- right down to an authentic 1800's functioning whistle. Trailing the locomotive are 3 cars which can fit upwards of 18-24 people. To futher amuse the riders, each car has stereo sound which plays various tunes and commands. From "All Aboard" to various songs. This is guaranteed to be the crowd pleaser at any event beit a Birthday, Festival, School event, Church or Corporate. Rental based on a 2 hour period with additional hours charged at $140ea.